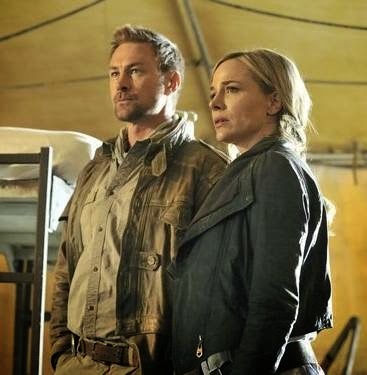 While waiting for season two of Defiance to return on Syfy, did you know that there is a five-episode story from the show that picks up where season one leaves off. Defiance is about an Earth after a disaster involving alien space ships crashing out of orbit in the planet, seriously messing things up for us. And along the way, the aliens move in and now we all have to get along. Well, as best we can. Defiance stars Grant Bowler, Stephanie Leonidas, Graham Greene, Dewshane Williams, Julie Benz, Jessica Nichols, Tony Curran, Nicole Muñoz, Jaime Murray, Mia Kirshner, Justin Rain, Jesse Rath, Trenna Keating and Noah Danby.